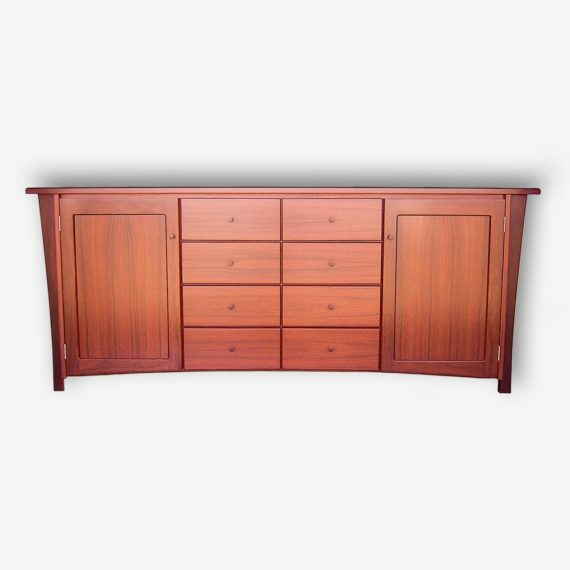 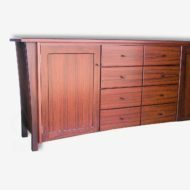 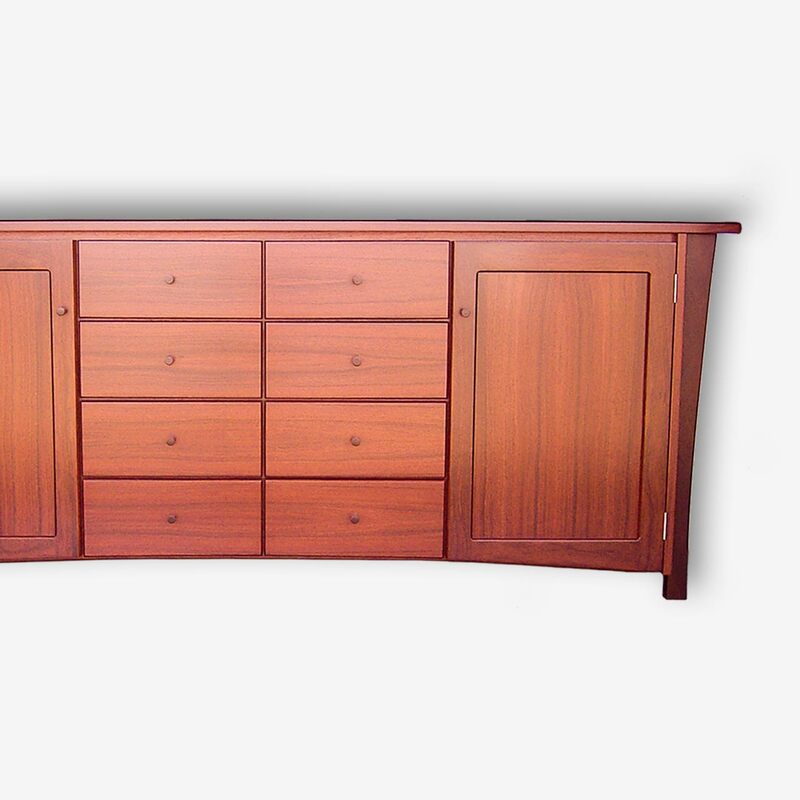 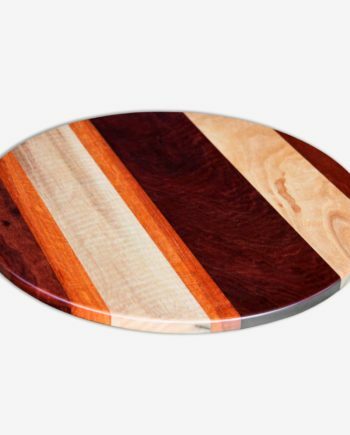 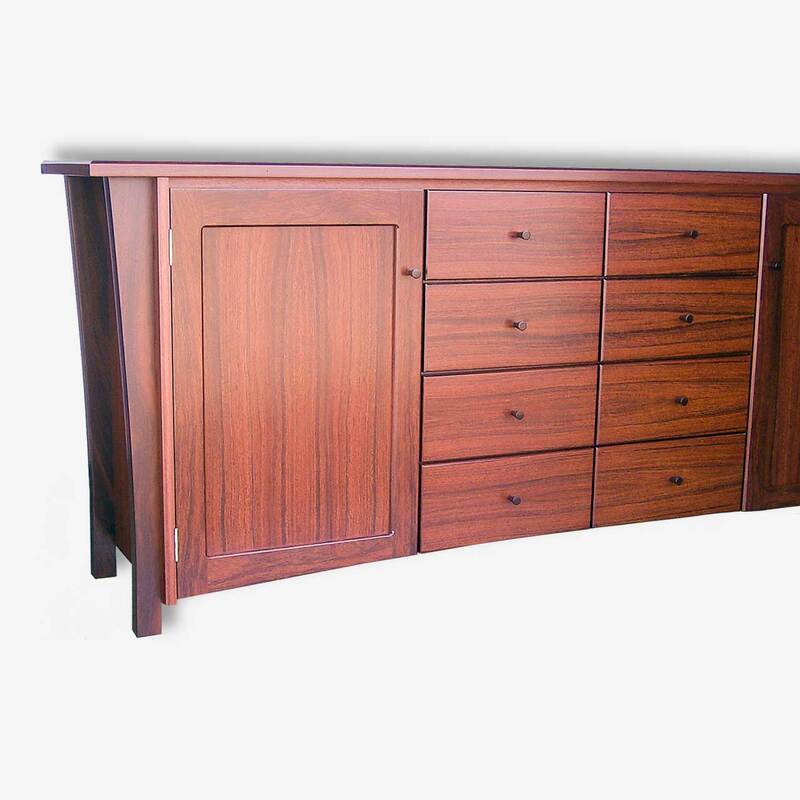 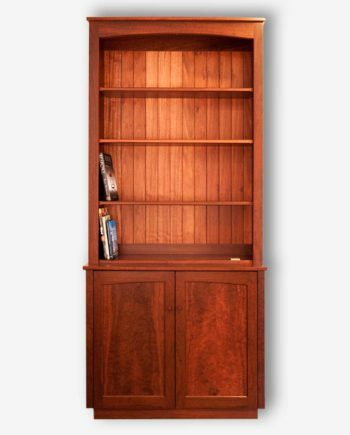 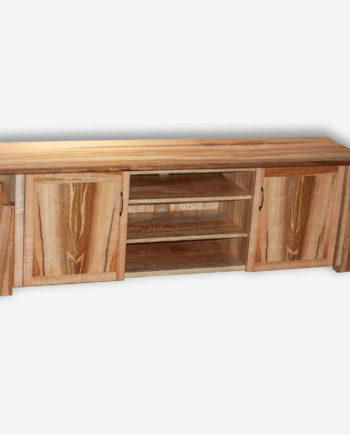 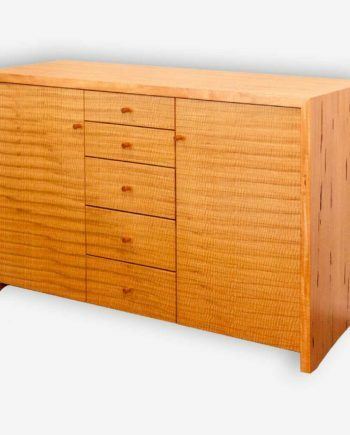 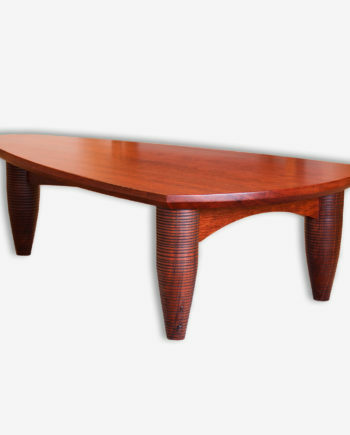 This jarrah sideboard cabinet has beautiful curved lines and despite its size is still an elegant piece. This jarrah sideboard cabinet has beautiful curved lines and despite its size is still an elegant piece. 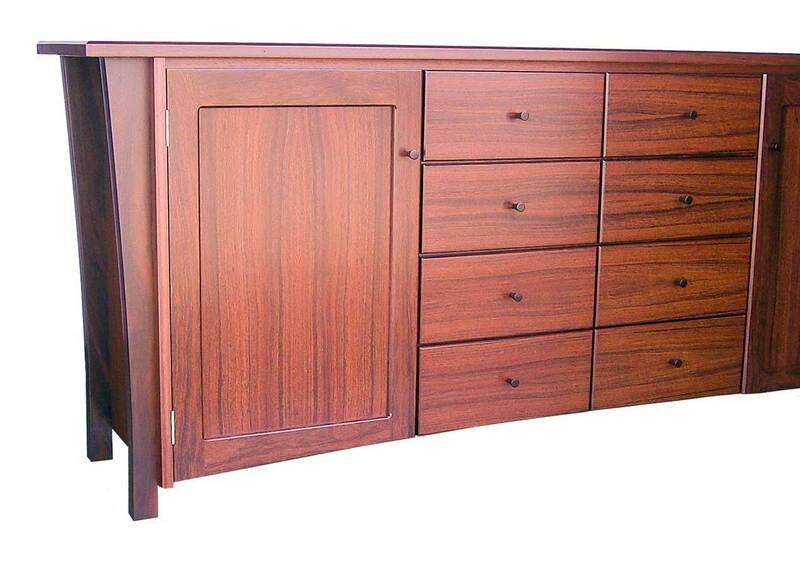 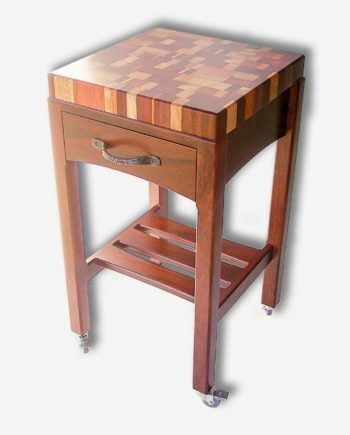 ‘Eureka’ can be made smaller with four drawers.